What is UP with this weather? Yesterday it was sunny and, like, 80*. Today it's raining and freaking freezing! Soup weather, for sure! Remember in January when I went to that Envy Apple Cooking Class at Central Market? This soup was probably my favorite dish of the night. It's creamy, warm, and so savory. Even my butternut squash hating husband gobbled it up. This soup features Envy Apples specifically but you can definitely use any apple you have. I would use a milder apple- not sweet, not tart. 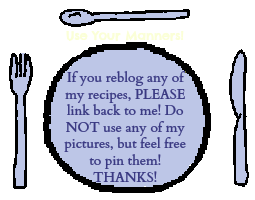 I think this recipe could be elevated with Bone Broth in place of Chicken Broth and don't be shy with that black pepper! Follow me on Instagram and check my stories for tips on how to peel and cut a butternut squash without breaking a sweat! 1. Heat oven to 425* with a rack in the middle. 2. Toss butternut squash cubes in 1 tbs melted butter and place them on a baking sheet lined with aluminum foil. Roast until knife-tender, about 20 minutes. 3. Peel, core, and dice apple. Cut onion into a medium dice. Melt remaining 1 tbs of butter in a large saucepan or Dutch oven over medium heat. Add the apple, onion, and sage, season with salt and pepper and cook, stirring occasionally until softened- about 7 minutes. Remove the pan from the heat and set aside. 4. Add the squash to the saucepan with the apples and onions. 5. Add the broth, water, and measured salt and pepper, stir to combine and bring to a boil over medium-high heat. Reduce heat to low and simmer (B2B, R2S) stirring occasionally and breaking up any chunks of squash until the flavors meld- about 15 minutes. 6. Remove the pan from the heat and stir in the heavy cream. 7. Using an immersion blender (or regular just be careful with the lid and the steam!) puree the soup until smooth. 8. Taste and season with salt/pepper as needed. 9. Garnish with pumpkin seeds and serve! Today's spotlight is on Emmett. Emmett was not diagnosed prenatally but thanks to Texas Children's Hospital he is alive and well today! Emmett's Momma, Skylar tells his story below. I was 16 when I got pregnant for the first time. 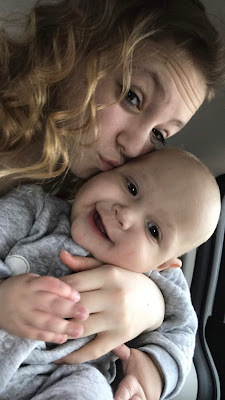 Already scared of what the world may think of me being a teenage mom, I was scared to tell my mom because three days before I found out I was pregnant., he had a miscarriage of her own. I knew I needed to start doctor appointments to check and get the right care of the tiny growing human inside of me. Throughout the 9 months of my pregnancy, everything was great, we always got told he was looking perfect and growing just like he needed to be. He was breech so the doctor said I’d have to have a cesarean. Everett was born on March 5th, 2018 at 8:23 am. He was a 6lbs 4.5oz and 19.5 inches long little boy. As I recovered from my c-section I mainly slept but never did they bring my little boy to me. They told me they were giving him a little bit of extra oxygen. Hours went by and he still wasn’t wheeled down to my room, so 8 hours after my surgery I got out of bed and walked to my wheelchair and was wheeled down to see Emmett. As I held him for the first time his oxygen saturation’s went up and we thought he was getting better. Over the night a nurse was watching him closely and knew something wasn’t right so the next morning they told me that my perfect little baby might have a congenital heart defect and that he was being transferred to Texas Children’s Hospital in Houston. Soon he left in an ambulance with the kangaroo crew. His Pops got to ride with him because the hospital wouldn’t release me because my blood count was low. So while he made his way to be treated almost 3 hours away from me, I had to stay in the hospital where he was supposed to be with me. The next morning the hospital released me, they probably shouldn’t have that soon, but thank god they did! And I got down to my baby the fastest we could. When Emmett’s daddy, my mom and I got there we were told Emmett is very very sick and that if the kangaroo crew wouldn’t have gotten to him with the medicine he needed (Epi) to keep his hole from closing, he might not have made it. 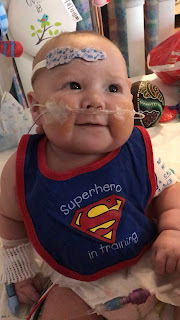 So Texas Children’s Hospital saved his life! They told us Emmett has HLHS, Hypoplastic Left Heart Syndrome, Double Outlet Right Ventricle and a lot of other little things to go along with it. He was in so much cariogenic shock that his condition was worse. His organs took a lot of damage so before we could have the Norwood surgery he had to recover from that. They told us his condition requires a series of open-heart surgeries to give him the longest life possible with a possible heart transplant in the future. The Norwood, Glenn, and Fontan. They told us this first surgery would be the most critical one and the few days after are too. 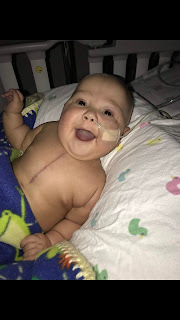 He had his first surgery on March 22, they did a Norwood Sano but 3 days later they had to do emergency surgery for a Sano takedown and replaced with a 4ml BT shunt. After the emergency surgery he was in a better place, but still critical. His chest remained open and on the 31st of March, they finally closed it! 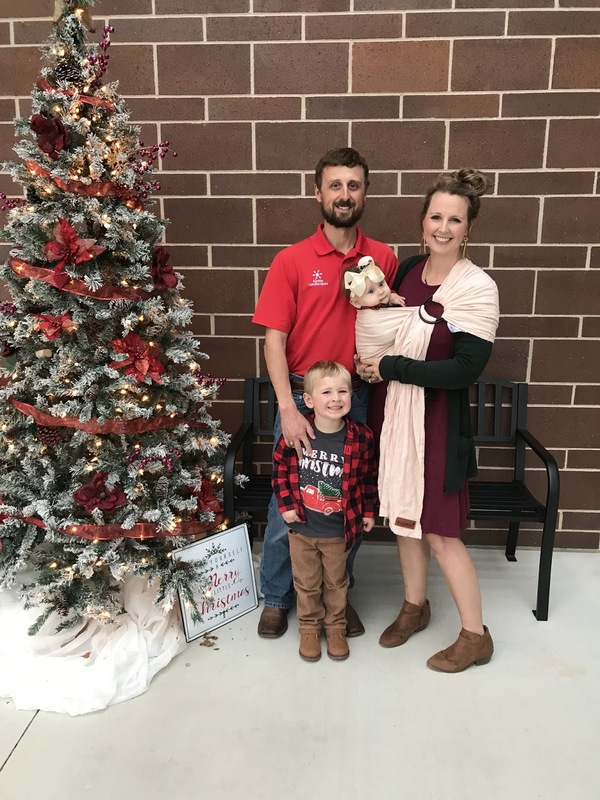 During Emmett’s recovery time, he was intubated and extubated multiple times. And we hit a lot of bumps in the road. Eventually, we got him extubated and had a rocky rollercoaster during interstage. The time came and the doctors were saying he was ready for his Glenn. So Emmett was taken off to the cath lab and brought back with the news that he was not a candidate for the Glenn surgery at this time. Nothing was wrong with his heart function at all, everything looked great, there was a little bitty pinch in his arch, but no one was worried about it because the measurements were good. His lung artery vessels measured way too high and it would be really dangerous for them to do the Glenn with those measurements of the lung arteries; possibly even life-threatening. 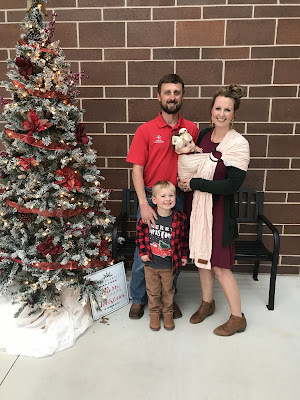 They had to start him on a medication that would bring down the lung pressure numbers so we waited weeks to give Emmett more time and for the medication to do its job and went back to the cath lab and Emmett was still not a candidate. They tested during the cath lab to see if they gave him nitric oxide if it helped bring down his lung pressures to where they needed to be. The Cardiac team gave us three options, 1. To not do a Glenn and let him be how he is now 2. To go ahead and do the Glenn even though it’s risky, or 3. To be put on the heart transplant list. With the help of the team, we chose to go ahead and do the Glenn with nitric oxide. We were told Emmett was going to come out of surgery way sicker than he already is. 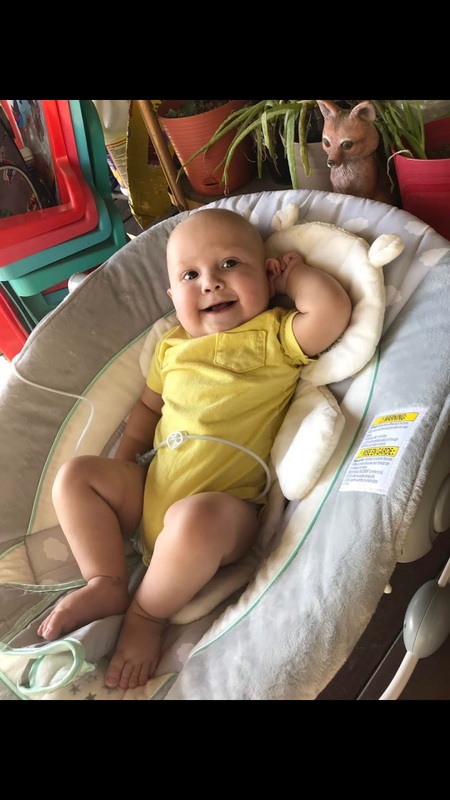 The days were all thrown around on when Emmett would go into surgery but he was scheduled for August 14th, but if something was available sooner, they would take him in then. Finally, they told us he was for sure going into surgery for the Glenn on August 9th. It was a very long stressful day. When the surgeon went to take his BT shunt out, they told us it was 100% excluded!!! They said it was a blessing we took him into surgery on this day! Who knows what would have happened if we would have waited until the 14th. After Emmett came out of surgery, everyone was saying he looked great! Recovery passed and he surprised us all with how well he was doing! The Glenn was exactly what he needed for him to get better and that’s what he did, got better. After 6 months of being in the ICU, Emmett got to go to a Step-Down floor on his 6 month birthday! There he continued to strive through his recovery! He had a G-tube placed on October 2nd and on his 7 month birthday, October 5th, and after staying at the hospital for 7 months, WE GOT TO TAKE EMMETT HOME!!! Emmett has 5 medications he takes all throughout the day and has pretty frequent appointments with cardiology, GI for nutrition, general surgery for his G-Tube, a developmental class, and physical and soon to be speech therapy! From October to now, Emmett has been the most happiest baby you could ever meet! He is truly a miracle and such a blessing to our family!! Today's spotlight is on Case, a Heart Warrior who just celebrated his 4th birthday! It was a normal August day on a Friday when we found out if our baby was a boy or girl. The excitement was rising. We were waiting patiently for the three words we wanted to hear "a healthy baby" but they never came. Case wasn't our first pregnancy, and after experiencing a loss, we honestly cared less about the gender, we just wanted a healthy baby. At the time, I was teaching first grade, so my students were so excited to find out if the baby was a boy or a girl! I honestly think they were more excited to find out than I was. I left school a little early to make the appointment, a 45-minute ultrasound that turned into almost two hours. The tech said, "I can't get him positioned correctly, I can't seem to get all the pictures of his heart." I was a naive first-time mom and didn't think much of her remarks. She didn't say anything more. Two days after we found out our baby was a boy, we also found out that he had a heart defect--a VSD, or a hole in between the bottom two chambers. My doctor ensured me that in most cases the hole closes and not to worry, she insisted that our baby had an extremely small VSD and that it didn’t even show up on all of the images. She set us up with a specialist in another town for a few weeks later just to be safe. So we prayed. "Jesus, please close this hole. Jesus, please, listen to me, I need you to heal my baby, I NEED YOU TO CLOSE THIS HOLE IN HIS HEART." Those few weeks later come and I drive to the specialist a few hours away. I wait for my appointments. I'm nervous. But everything should be fine, right? I mean, we are normal people-- something like this couldn't happen to people like us... wrong. Oh, and I forgot to mention, my husband couldn’t come with me, so I’m by myself. The tech does the scan. Then, the doctor comes in. I can tell by his face the news isn't good. "Multiple defects." He says. 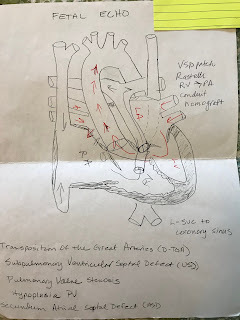 "Double outlet right ventricle, transposition of the great arteries, a large VSD, an ASD, a small pulmonary artery with minimal blood flow." I am stunned. I told myself I wouldn't cry, but I feel the fiery, streaming tears race down my cheeks and fall onto my neck. I can't hold them back. I'm by myself, David is working, and there aren't any freaking tissues in the room. (Why the heck aren't there any tissues?! )The tech runs to go get some. He shows me them on the screen but I can barely see. My eyes are burning and I just want him to stop. I want it to be yesterday. When I didn't know. When my baby was just my normal baby. But it isn't yesterday, and my days of normal are over, so I listen. I am speechless. The doctor continues "minimal quality of life (worthless)," he says. "Failure to thrive (worthless)." "Failure to grow, possibly inoperable (worthless)," he says. "Possibly a chromosomal anomaly." Long Pause... "Considering all these things most people in your situation would choose to terminate." This is how we found out about our son’s severe heart defect when I was 24 weeks pregnant. I somehow managed to get to my car and call my husband to deliver the news. I sat in the parking lot for what seemed like an eternity until I could gather my thoughts and calm down enough to drive the almost 3 hours home. The words delivered to me on that day, and HOW they were delivered are still ingrained in my memory. I will never forget them--and we never went back to that hospital. My husband, the fixer, started researching pediatric cardiothoracic surgeons and cardiology programs in the United States. We knew we needed to find a hospital that wanted our baby to live and we also knew we’d have one shot at saving our kid’s life, so we wanted the best. We happen to be about a 90-minute drive from Houston, where Texas Children’s Hospital (TCH) is located. At the time I was pregnant in 2015, Texas Children’s had the #2 Pediatric Cardiology program in the nation (now #1), second to Boston Children’s. By the time I arrived home, David had called my school to deliver the news, my OB to get forms for a second opinion, and TCH to get the ball rolling with appointments. We had to have the referral from my doctor first, which took about two weeks because they did not want me to transfer my care. (If you are reading this and new to the complex medical world--no doctor should EVER deny you a second opinion.) Many people asked us why we traveled out of town or why we chose Texas Children’s. The answer was simple, our kid was worth it. Our back up plan was to go to Boston Children’s if we didn’t get into Texas Children’s. 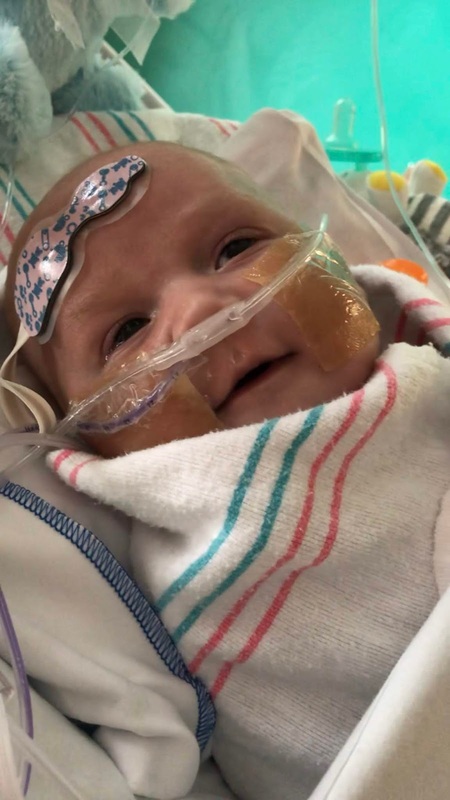 There are many good children’s hospitals out there...but when it comes down to the wire, do you want the person holding your kid’s heart (literally!) to be good, or do you want them to be the best? Three days after TCH received our paperwork we were in Houston for a set of two-day appointments. We met with Maternal Fetal Medicine, Genetics, Cardiology, NICU team, etc. Appointment, after appointment, after appointment. Those two days were a whirlwind. I remember them, but they are so foggy. I was in survival mode at that point. We met our wonderful fetal Cardiologist, Dr. Nancy Ayres, and she was a breath of fresh air. Yes, our baby had a severe heart defect, yes, he could have genetic anomalies, yes, he could die. She assured us we were at the best place for our sweet precious baby. She didn’t sugar coat anything, and I appreciated that. 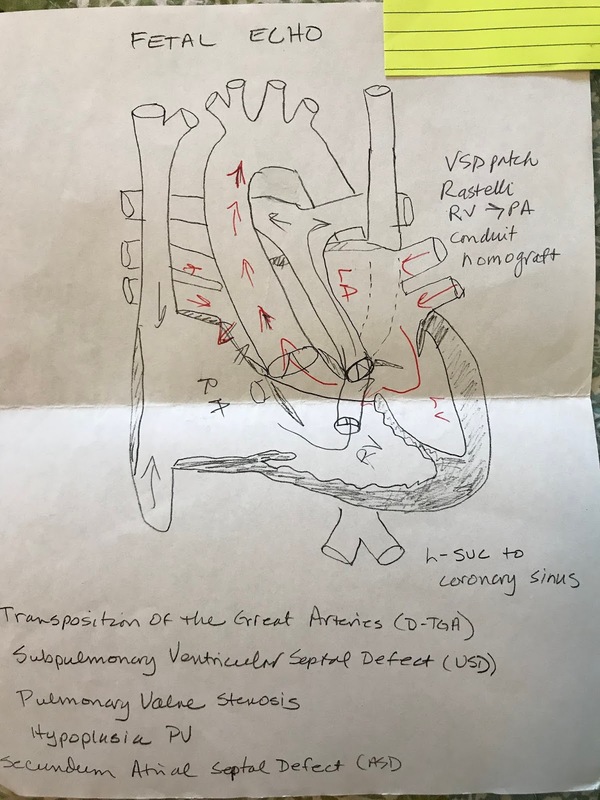 Case’s official diagnosis: DORV (double outlet right ventricle), d-TGA (transposition of the great arteries), VSD, ASD (holes in his heart), Pulmonary valve anomaly and pulmonary stenosis. Basically, his aorta was pushing good, oxygenated blood to his lungs, his pulmonary artery was pushing deoxygenated blood to his body and both arteries stemmed from the right side of his heart. He had a large hole between his bottom two chambers and a hole between one of his top and bottom chambers, a funky pulmonary valve, and a tiny pulmonary artery. I wanted to know what real scenarios we were looking at for the next few months and she told me. I had a relatively normal and healthy pregnancy. The next 4 months flew by and in December we moved to Houston to wait on the arrival of Case. We stayed at a friends apartment for two weeks and then at the Ronald McDonald Holcombe House. Case was born January 7th, 2015 at 4 in the afternoon. He was quickly whisked away to the NICU to be assessed by his team. His stats look good, but he was being closely monitored as his heart adjusted to doing all the work. That night, his oxygen saturation plummeted into the teens and he almost coded. Apparently, he caused quite the stir for the night shift because a few hours later he had a bedside Atrial Septosomy to open up his ASD to allow more blood flow because he wasn’t stable enough to move to the cath lab. He rallied, and in 4 short days was back on room air. Because his pesky little pulmonary artery wasn’t big enough to function as his aorta, we were left with very few surgical options. We had a difficult time finding a surgeon, even at TCH, that would try a full repair (or any repair) on Case, and time was not on our side. The world-renowned, Dr. Fraser took him on and said he would try to mend Case’s heart. The window for a full repair for a d-TGA baby closes at the 6-week mark. When Case was exactly 6 weeks old he had a 13-hour open heart surgery that saved his life. In the weeks leading up to his surgery, he became very ill. He wasn’t and hadn’t been, gaining weight, he was lethargic, and overall, just puny. Dr. Fraser made us no promises. He was going to try and do the full repair, but he had other options in case that didn’t work out. We handed our boy over a little before 7am and didn’t see him again until after 10pm that night. It was an extremely long and emotionally draining day. Case’s recovery was up and down, 1 victory matched with 1,000 defeats. His kidneys were wrecked on bypass. The machine that kept him alive during surgery, did a number on his tiny body. He had a difficult time coming off bypass and recovering from its effects. Case was in the CVICU for 8 days. On day 7, he turned a corner and really started improving. We were sent to step-down shortly after and stayed there for about 8 days and then we were discharged locally for 2-3 weeks before we could go home. Case was born in January and finally, mid-March we were home! It was a wonderful feeling to finally be home as a family of 3! Looking back, I sometimes can’t believe we made it. David and I lived apart for about 4 months. Our income was cut in half and our living expenses doubled. We had support from our friends and family but it is hard for people to understand what it’s like to sit by your child for days, weeks and months on end waiting to see if he will live or die. The emotional roller coaster is overwhelming. We had a really tough first 4 months, a rough first year and then things settled down. We were able to recover financially, we had another baby--a heart-healthy baby girl, and have had a string of fairly good reports from cardiology! We are in the “unknown” phase right now as far as the next surgery goes. Case’s aortic valve needs to be replaced, but we are basically waiting on his body to tell us when it’s ready. Dr. Fraser’s goal was to get Case to his first birthday. We just celebrated his 4th! We are so proud of our little heart warrior and his bravery. He is kind and gentle, yet fierce and brave. He is a force to be reckoned with, that’s for sure, and we couldn’t be prouder to call him ours.